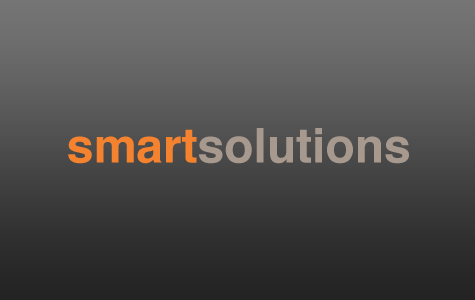 Smart Solutions is a recruitment agency that provides temporary and permanent staff for positions across a range of sectors. As well as placing employees with companies, Smart completely manages the workforce for companies, from handling payroll and legal compliance to providing benefits and training products. Smart’s customers range from large multi-national companies to SMEs i.e. any business which is looking for a workforce. It specialises in several sectors including waste and recycling, food manufacture and call centres, but is also a generalist recruitment agency with shops in towns across Wales and the UK. CEO Nathan Bowles set up Smart Solutions Recruitment to address what he saw as a significant flaw with traditional recruitment agencies. Working in the waste and recycling industry, he felt that recruitment agencies did not understand what was required of employees in the sector, and made little effort to tailor their services. Workers would turn up completely unprepared for the work they had to do, which led to significant worker turnover and dissatisfaction. The turning point for Nathan was when a recruitment agent sent him a worker who was entirely unsuitable for a role which required specific skills. When Nathan asked the agent whether he thought he’d provided the best person for the job, the agent said: "You try and do better". Nathan decided he would. Having identified this gap in the market, Nathan decided to start a recruitment agency with an emphasis on matching workers to the jobs they were doing, and avoid the all-too-familiar scenario where flexible workers were just placed on a site and left to get on with it. Nathan opened the first Smart shop in Pontypool in 2007, employing four people in the first six months. Following a rapid expansion plan, the first on-site office outside Wales opened in Walsall in March 2008, followed by four more high-street offices in the next 12 months and five more at client premises. The firm now employs 60 people and handles over 1,000 temporary staff a week. Smart is aiming to be one of the leading recruitment companies in each sector it enters. Eventually, the vision is for the Smart brand to be in every region, but not at the expense of high standards of customer service Smart has come to stand for. The main start-up issues were cashflow and negotiation of invoice discounting facility which allowed for growth; the large geographic area that the business served and maintaining service levels to ensure quality standards were maintained; and faining market share required significant effort to convince potential clients that Smart’s unique concept of flexible working would be successful and benefit their businesses. Smart has invested £350,000 in its infrastructure over the past two years. With 1,000 flexible workers processed each week, a sophisticated IT system was needed to handle all transactions. There are plans to further develop a bespoke system, allowing clients and workers to log on via the Smart website and track their contracts. The website is a fully integrated customer relationship management system, allowing any contact with the client or worker to be tracked from appointment to the end of contract. Smart has continually planned to be one year ahead of its projected growth with its IT systems, meaning that the company would be able to handle any large contract instantly. The company also puts staff first. The directors recognised that recruitment can be a high-pressured and demanding job, and wanted to make Smart a people-focused business. All staff are given SMART objectives and encouraged to take ownership and act on their own initiative. An annual training plan identifies training needs and ensures staff are developed to meet business needs. Alongside this is a commitment to improving working conditions for the temporary workers Smart places in jobs with clients. Traditionally agency workers had low motivation and commitment, in part due to the lack of rights and benefits they received. The result was a high level of churn, and increased costs for the businesses which employed them. The Smart model offers flexible workers not only employment rights such as holiday and sick pay, but added benefits and reward schemes. Finally, Smart is developing innovative ideas and strategy in a stale market. The large, well-established agencies provide a one-size-fits-all approach to recruitment, rarely diverting from the tried and tested model of supplying workers to jobs as and when they come up, rather than taking time to match them to the right job. Taking away management hassles from the client mean that Smart can offer genuine value for money. Smart has several key objectives for growth over the next three years. The first is to consolidate its market-leading position in the core sector of waste management. Smart currently has approximately 15% of the market share in the waste and recycling sector and its objective is to secure a significantly greater share of this growing market. Using existing contracts and through close research of industry developments, Smart will target firms with plans to expand, for instance those making planning applications for new sites. Secondly, the company wants to replicate the model in food manufacturing and call centres. Smart has developed a successful business model for the waste and recycling sector which it will replicate in two other markets, call centres and food manufacturing. Smart has already employed a senior manager from food manufacturing, who has devised an industry model currently being sold to selected targets. Finally, it wants to increase presence in other regional UK markets, starting with the North of England. Smart has already built a strong network with 14 UK sites, in South Wales, the South of England and Midlands. High-street presence in regional towns was a cornerstone of Smart’s initial strategy, and it established sites in towns with a history of having an engaged, hard-working labour force. As with expansion into new industry sectors, new regions will be thoroughly researched, matching companies with Smart’s key strengths.